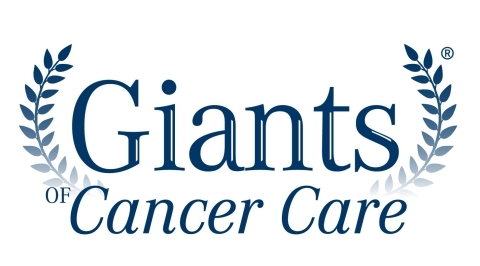 CRANBURY, N.J.--(BUSINESS WIRE)--OncLive® is proud to announce the inductees of the 2017 Giants of Cancer Care® recognition program. This year, 12 respected healthcare professionals who are advancing the field of oncology by their contributions in research and clinical practice. The winners were announced on June 1 during an exclusive celebration at the Chicago History Museum. 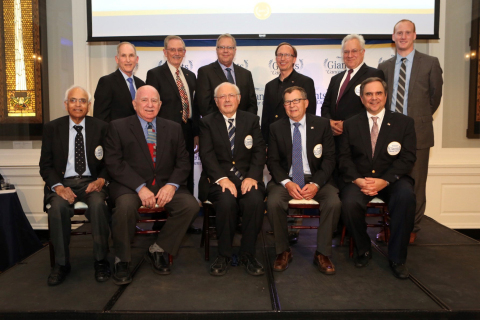 Nominated by the oncology community, all finalists are selected by an elite five-member advisory board of world-renowned oncologists. The finalists in each category are then voted on by a 90-plus member selection committee comprising the nation's leading physicians in the oncology space. The winners represent 12 categories: breast cancer, gastrointestinal cancer, genitourinary cancer, hematologic malignancies, lung cancer, melanoma, radiation oncology, scientific advances/drug development, pediatric oncology, supportive/palliative/geriatric care, immuno-oncology and surgical oncology. A digital platform of resources for practicing oncologists, OncLive.com offers oncology professionals information they can utilize to help provide the best patient care. OncLive® is the official website for Michael J. Hennessy Associates’ Oncology Specialty Group, which publishes OncologyLive®, Oncology Nursing News®, Oncology Business Management® and more. Michael J. Hennessy Associates, Inc. is a full-service health care communications company offering education, research, medical media, including curetoday.com and CURE® magazine, the largest U.S. consumer publication focused entirely on cancer. Combining science and humanity to make cancer understandable, CURE® reaches patients, cancer centers and advocacy groups.